Several groups today filed a 60-day notice of intent to sue letter against the U.S. Environmental Protection Agency (EPA) for the agency’s failure to identify communities throughout the nation that have unhealthy levels of ozone air pollution. The Clean Air Act requires the EPA to formally identify the areas that are not meeting the ozone standards set in 2008 which limits ozone in the air to 75 parts per billion (ppb). Identifying these areas is essential to triggering clean-up plans for those regions with unsafe pollution levels. Based on recent data, regions that should be designated as violating standards include Washington, D.C.; Baltimore; Los Angeles; Sacramento; San Diego; San Francisco; Dallas; New York City; Philadelphia; Pittsburgh; Atlanta; and more than two dozen additional communities across the United States. The EPA was originally required by law to identify these areas by March 12, 2010, in a formal process called designating nonattainment areas. It missed that legal deadline. While the agency granted itself a one-year extension for designating ozone nonattainment areas, until March 12, 2011, it also failed to meet this deadline. September 21, 2011 by Ken Ward Jr.
Later this week, the House is set for a series of votes aimed at delaying several major air pollution rules, mandates inter-agency economic studies of such rules, and seriously erode EPA’s ability to cut back on toxic air pollutants. 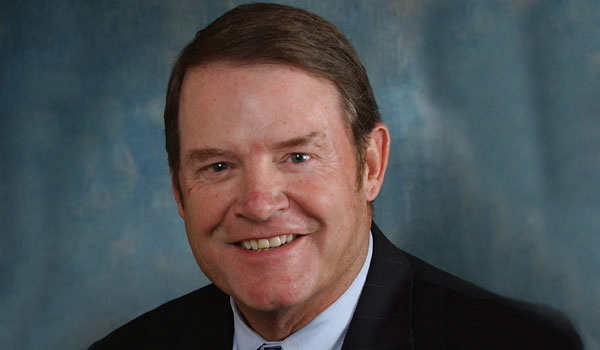 The Transparency in Regulatory Analysis of Impacts on the Nation Act of 2011 is backed by Republicans, including Shelley Moore Capito and David McKinley of West Virginia. 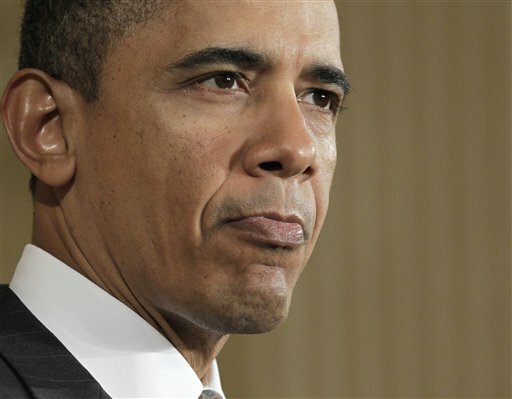 … The regulations formulated by the Obama Administration will be of tremendous benefit to public health, and the combined compliance cost of the rules – both finalized and proposed – amounts to only about 0.1 percent of the economy, and thus are not a significant factor in the overall economy’s direction. * Setting aside the Cross-State Air Pollution rule, the combined annual benefits from all final major rules exceed their costs by $10 billion to $95 billion a year. The benefit/cost ratio ranges from 2-to-1 to 20-to-1. — The net benefits from the Cross-State Air Pollution rule exceed $100 billion a year (this rule is treated separately because benefits accruing from action under the Bush administration and the Obama administration cannot be disentangled). — The combined annual benefits from three major proposed rules examined here exceed their costs by $62 billion to $188 billion a year. The benefit/cost ratio ranges from 6-to-1 to 15-to-1. — When fully in effect in 2014, the combined costs of the major rules finalized by the Obama administration’s EPA would amount to significantly less than 0.1% of the economy. — Assuming the proposed rules are also finalized, when fully in effect in 2016 the combined costs of the major EPA rules finalized and proposed so far under the Obama administration would amount to about 0.13% of the economy. 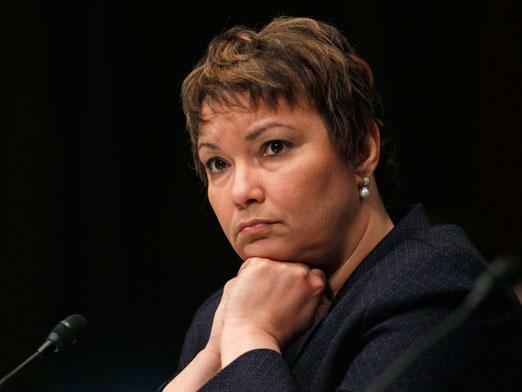 September 7, 2011 by Ken Ward Jr.
On the eve of the president’s address to the nation on job creation, a new report shows potentially 1.24 million jobs in 36 states have been destroyed by the Sierra Club’s “Beyond Coal” campaign aimed at stopping coal-based power plants. The finding, from an analysis released today by the National Mining Association (NMA), shows that while the Sierra Club boasts of stopping coal plant projects it is also destroying high-wage jobs for American workers in a struggling economy. Applying coal plant employment data from the U.S. National Energy Technology Laboratory (NETL) to the Sierra Club’s own claims of halted power plant construction, the analysis shows Sierra Club’s “Beyond Coal” campaign has targeted for destruction 116,872 permanent jobs and an additional 1.12 million construction jobs represented by the power plants they have prevented from being built. Examples include Illinois, where proposed power plants could have supported 126,612 total jobs there and in surrounding states, and Texas, where blocked power plant construction represented 122,065 total jobs and where potential shortages of electric power exists today. Over the last two and half years, my administration, under the leadership of EPA Administrator Lisa Jackson, has taken some of the strongest actions since the enactment of the Clean Air Act four decades ago to protect our environment and the health of our families from air pollution. From reducing mercury and other toxic air pollution from outdated power plants to doubling the fuel efficiency of our cars and trucks, the historic steps we’ve taken will save tens of thousands of lives each year, remove over a billion tons of pollution from our air, and produce hundreds of billions of dollars in benefits for the American people. I want to be clear: my commitment and the commitment of my administration to protecting public health and the environment is unwavering. I will continue to stand with the hardworking men and women at the EPA as they strive every day to hold polluters accountable and protect our families from harmful pollution. And my administration will continue to vigorously oppose efforts to weaken EPA’s authority under the Clean Air Act or dismantle the progress we have made. September 1, 2011 by Ken Ward Jr.
We’ve previously gone over here on Coal Tattoo the Congressional Research Service report that debunked the notion that EPA’s series of air pollution regulatory actions amount to some sort of “train wreck” for the nation’s energy system. Now, there’s an interesting report out from PJM Interconnection — the folks who manage the regional power grid — that examines the potential impact of EPA’s proposals on their operations. Even with almost 7,000 MW less coal capacity clearing for the 2014/2015 Delivery Year, PJM estimates the RTO will carry a reserve margin of 19.6 percent for the Delivery Year, including the demand and capacity commitments of FRR entities. Even with the potential retirement of coal capacity already announced by FRR entities, there are also announced commitments to replace a portion of that capacity with new gas-fired capacity such that the RTO would still carry a reserve margin at or above of the target 15.3 percent installed reserve margin. Add into the mix the potential for new entry from Demand Resources, as has been the trend in recent years, and resource adequacy does not appear to be threatened. Thanks to Bill Howley at The Power Line blog, who brought this report to my attention and to Keryn Newman, who apparently brought it to Bill’s attention through a piece in the StopPathWV blog. 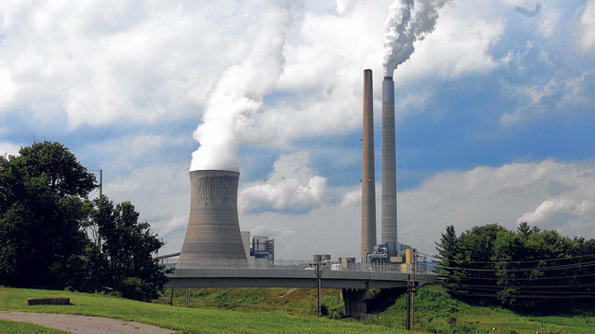 The Sierra Club is getting a big boost in its effort to shut down coal-fired power plants. 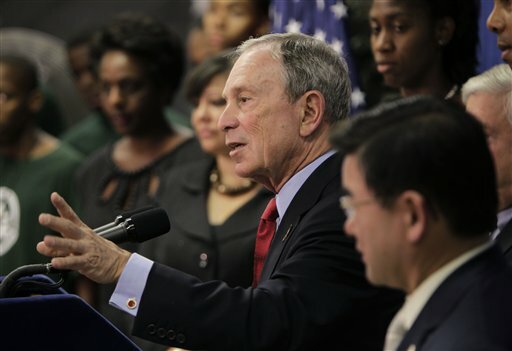 New York Mayor Michael Bloomberg is supporting the organization’s efforts with a donation of $50 million. 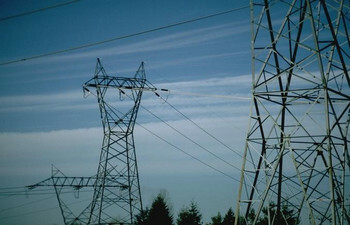 The plants produce nearly half the nation’s electricity. But they also pump out lots of pollution that contributes to climate change, makes people sick and causes premature deaths. Sierra Club executive director Michael Brune described the gift from Bloomberg Philanthropies, which will be spread out over four years, as “a game-changer, from our perspective.” The group will devote the money to its “Beyond Coal” campaign, which has helped block the construction of 153 new coal-fired power plants across the country since 2002. Bloomberg and Sierra Club officials were to appear together later this morning outside a coal-fired plant in Alexandria, Va., for the announcement. 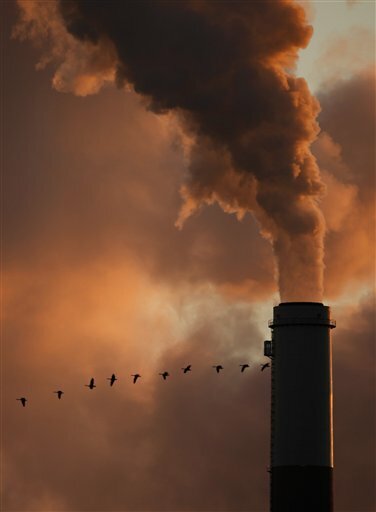 Residents of Ohio, Pennsylvania and Florida live in states with the most toxic air pollution from coal- and oil-fired power plants, according to an analysis by the Natural Resources Defense Council. The study used publicly-available data in the Environmental Protection Agency’s Toxics Release Inventory (TRI). The analysis, entitled “Toxic Power: How Power Plants Contaminate Our Air and States” was jointly released today by NRDC and Physicians for Social Responsibility (PSR). — Nearly half of all the toxic air pollution reported from industrial sources in the United States comes from coal- and oil-fired power plants. — Power plants are the single largest industrial source of toxic air pollution in 28 states and the District of Columbia. Despite the health benefits of reducing toxic pollution from power plants, some polluters and members of Congress are seeking to block EPA’s efforts to update public health protections. 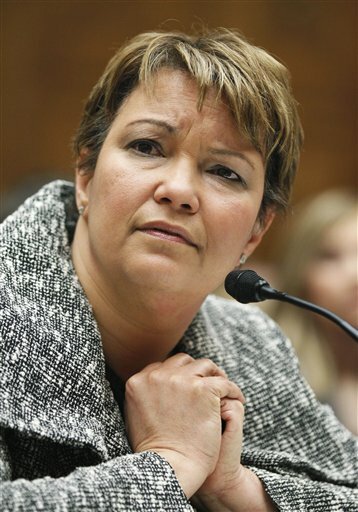 Last week, two House Committees voted for amendments by Ed Whitfield (R-KY)/Mike Ross (D-AR) and Cynthia Lummis (R-WY) to block for at least a year the EPA’s Mercury and Air Toxics standard. These amendments could move to the House floor as early as this week. Meanwhile, the chairman of the powerful House Energy and Commerce Committee, Fred Upton (R-MI) has vowed to block EPA’s clean air safeguards. One of the nation’s biggest polluters, American Electric Power (AEP) based in Columbus, Ohio has drafted legislation to block the EPA and has argued against EPA’s current efforts. 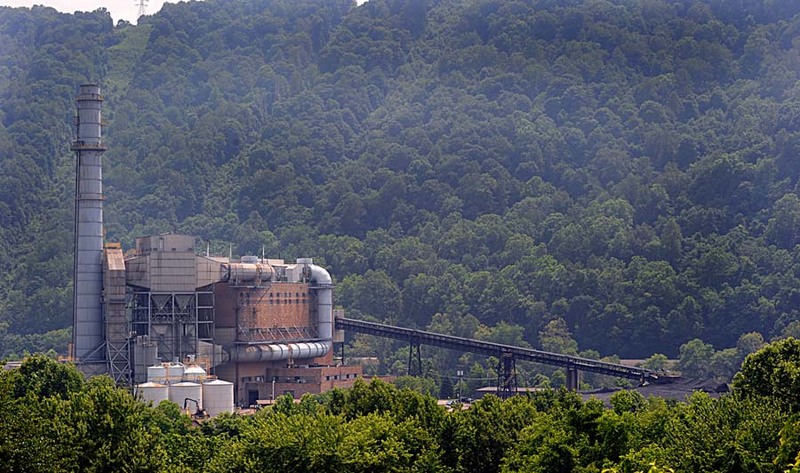 West Virginia’s electric sector ranked EIGHTH in toxic air pollution in 2009, emitting nearly 21.5 million pounds of harmful chemicals, which accounted for 84% of state pollution and 6% of toxic pollution from all U.S. power plants. … While Americans across the country suffer from this pollution, special interests who are trying to gut long-standing public health protections are now going so far as to claim that these pollutants aren’t even harmful. These myths are being perpetrated by some of the same lobbyists who have in the past testified before Congress about the importance of reducing mercury and particulate matter. Now on behalf of their clients, they’re saying the exact opposite. Not for nothing, but it’s not like EPA is all that effective in defending itself in these situations. I spent much of the week trying to get someone from EPA to do a phone interview about how some of these plant closings may have been driven by an AEP court settlement over long-standing pollution violations. So far, nobody from EPA has agreed to an interview. American Electric Power, one of the nation’s biggest coal utilities, downplayed the impact of EPA regulations to its investors while forecasting a doom-and-gloom outcome for Washington policymakers. Sound familiar? It’s the same game that the coal-mining industry played with EPA’s crackdown on mountaintop removal permits, as we reported here on Coal Tattoo a year and a half ago. These long-overdue Clean Air Act standards will slash hazardous emissions of mercury and other acid gases, preventing thousands of asthma and heart attacks and premature deaths. Utilities have known for decades that these standards – which are still in the proposal stage and have a built-in 3 year compliance timeline, have been coming for decades. They also know that they are free to approach EPA with serious, fact-based compliance plans, and that state governments also have the ability under the law to seek more time for the plants in their jurisdictions. The standards leverage existing American-made pollution control technologies that are already deployed at over half of the nation’s coal and oil-fired power plants – and will result in thousands of jobs across the country as workers install the technologies at plants. In light of yesterday’s announcement by American Electric Power about the potential closure of five of its coal-fired power plants, there’s a fascinating new report out from the U.S. Government Accountability Office. The report, called Air Quality: Information on Tall Smokestacks and Their Contribution to Interstate Transport of Air Pollution, discusses the notion of using ever-taller emissions stacks to disperse pollution, rather than installing emissions control equipment to actually reduce that pollution. 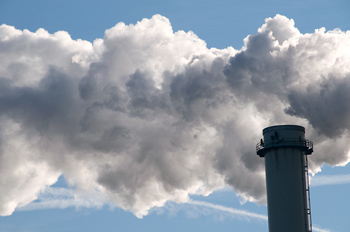 According to analysis of EIA data, which were updated with GAO’s survey results, a total of 284 tall smokestacks were operating at 172 coal power plants in 34 states, as of December 31, 2010. Of these stacks, 207 are 500 to 699 feet tall, 63 are 700 to 999 feet tall, and the remaining 14 are 1,000 feet tall or higher. 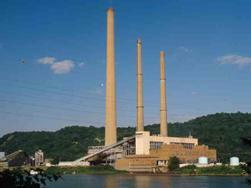 About one-third of these stacks are concentrated in 5 states along the Ohio River Valley. While about half of tall stacks began operating more than 30 years ago, there has been an increase in the number of tall stacks that began operating in the last 4 years, which air and utility officials attributed to the need for new stacks when plants installed pollution control equipment. 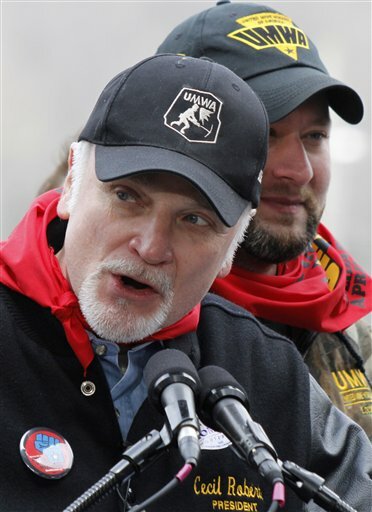 Searching for Cecil Roberts III: Exactly what sort of environmental protection does the UMWA support? May 18, 2011 by Ken Ward Jr.
Say what you want about my friend United Mine Workers of America President Cecil Roberts, but you pretty much always know where he stands. Just as our economy is beginning to climb out of the deepest recession since the Great Depression, the U.S. Environmental Protection Agency is proposing a variety of new rules that will inevitably lead to large-scale unemployment and massive rate hikes over the next several years. … Tens of thousands of jobs will be lost in the utility, coal and transportation sectors. Hundreds of communities will suffer as their tax bases shrink with the closure of nearby utility plants. Industrial states that were hit hard by the recession and still suffering from high unemployment will take another, needless hit. Now, there are folks in the regional and environmental community who will immediately jump on this as typical stuff from the UMWA. These folks remain increasingly bitter that Cecil Roberts won’t join their fight to stop all mountaintop removal (or maybe all surface coal-mining). Maybe I’m just feeling nostalgic. All of the publicity about the upcoming march to urge protection of Blair Mountain reminds me of when I met Cecil, more than 20 years ago. It was the summer of 1989. Cecil was vice president of the union, leading its strike against Pittston, fighting for the health-care benefits of UMWA retirees and widows. It was a young intern at the Gazette, and somebody thought it was a good idea to let me cover the strike (one joke in the newsroom that summer was about how, if there were any trouble on the picket lines, I wasn’t on the company’s health-care plan). UMW leaders were re-enacting the march to Blair Mountain to draw attention to their fight with Pittston (subscription required). One thing I learned that summer was how so many UMWA fights were not really about the working miners who were doing the fighting, but about either protecting the union’s retirees or trying to ensure a better life for their kids. TransGas has announced that it plans to hold a groundbreaking ceremony next week for its proposed coal-to-gas project in Mingo County, W.Va. But the Sierra Club is cautioning the company against actually starting construction of the facility. Pursuant to West Virginia and federal law, the company cannot construct a major source of air pollution without a Prevention of Significant Deterioration permit … Nor can the company move forward with construction of a minor source without a final minor source permit. While a mere ‘groundbreaking’ does not meet the definition of ‘construction’ under the Act … TransGas faces significant risk if it moves forward with constructing the source itself. Doing so without the proper permit could subject your client to both federal and citizen enforcement actions, even if the state permitting authority has condoned the project. WVDEP is taking the position that TransGas can go ahead and construct while they are fixing their permit. I’ve tried to ask WVDEP about that, but agency officials have not responded to my questions. 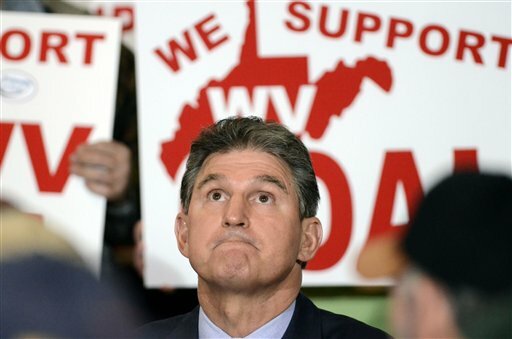 March 28, 2011 by Ken Ward Jr.
Word just in this afternoon that the West Virginia Air Quality Board has rejected key portions of an air pollution permit for the TransGas Development coal-to-liquids plant proposed for Mingo County. I’ve posted a copy of the ruling here. Recall that the state Department of Environmental Protection’s Division of Air Quality issued a permit for this facility over the objections of the Sierra Club, the Ohio Valley Environmental Coalition, Coal River Mountain Watch and the West Virginia Highlands Conservancy. Among other things, board members ruled that “the record does not support” the DEP’s determination that the plant’s flare combustion efficiency would be 99.5 percent — a key factor in the agency’s decision to permit this facility as “minor source” of air pollution, allowing TransGas to bypass more stringent permitting requirements. The AQB sent the permit back to the WVDEP with instructions that the permit be modified to comply with the law. 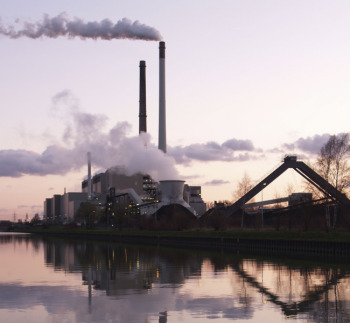 In response to a court deadline, today the U.S. Environmental Protection Agency (EPA) proposed the first-ever national standards for mercury, arsenic and other toxic air pollution from power plants. The new power plant mercury and air toxics standards – which eliminate 20 years of uncertainty across industry – would require many power plants to install widely available, proven pollution control technologies to cut harmful emissions of mercury, arsenic, chromium, nickel and acid gases, while preventing as many as 17,000 premature deaths and 11,000 heart attacks a year. The new proposed standards would also provide particular health benefits for children, preventing 120,000 cases of childhood asthma symptoms and about 11,000 fewer cases of acute bronchitis among children each year. The proposed standards would also avert more than 12,000 emergency room visits and hospital admissions and 850,000 fewer days of work missed due to illness. “The American Lung Association applauds the release of this sensible public health measure. When it becomes final, the cleanup rule that the EPA is putting forward today will save lives, protect the health of millions of Americans and finally bring about an action that is 20 years overdue. 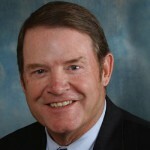 This must happen,” said Charles D. Connor, president and CEO of the American Lung Association. 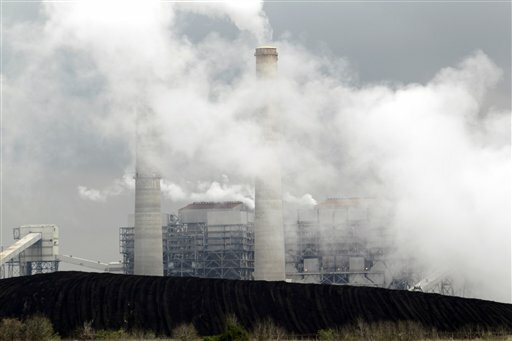 Amid the continued congressional attacks on the U.S. Environmental Protection Agency and the Clean Air Act, the EPA is due this week to issue its proposed new rules to reduce emissions of mercury and other toxic pollutants from coal-fired power plants. The Office of Management and Budget has held at least 10 meetings with stakeholders as it has reviewed the proposed rules, which have to be released by Wednesday under a legal deadline. 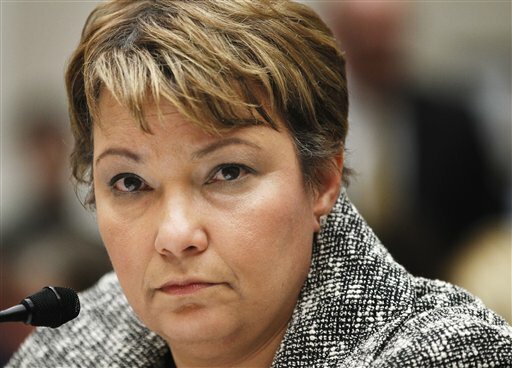 Those types of meetings are nothing new, but as power companies, unions and advocacy groups have come to make their voices heard, they’ve sent the big guns — and they’ve gotten to sit down with top officials who don’t normally get involved in the day-to-day grind of the rulemaking process. White House Chief of Staff Bill Daley attended one meeting last week with the CEOs of Constellation Energy, NextEra Energy Inc. and Exelon Corp., three utilities that are pushing EPA to press forward with the limits on mercury, acid gases and other types of air pollution. Also in the room were Cass Sunstein, who oversees the review of new rules at the White House, and Gary Guzy, the second in command at the White House Council on Environmental Quality. In January, the group Environment America issued a report that focused on what sort of action EPA might take regarding mercury emissions. But it’s important to remember that the rule at issue here affects not just mercury, but literally dozens of other air toxics — including arsenic, lead, dioxin and chromium, just to name a few.